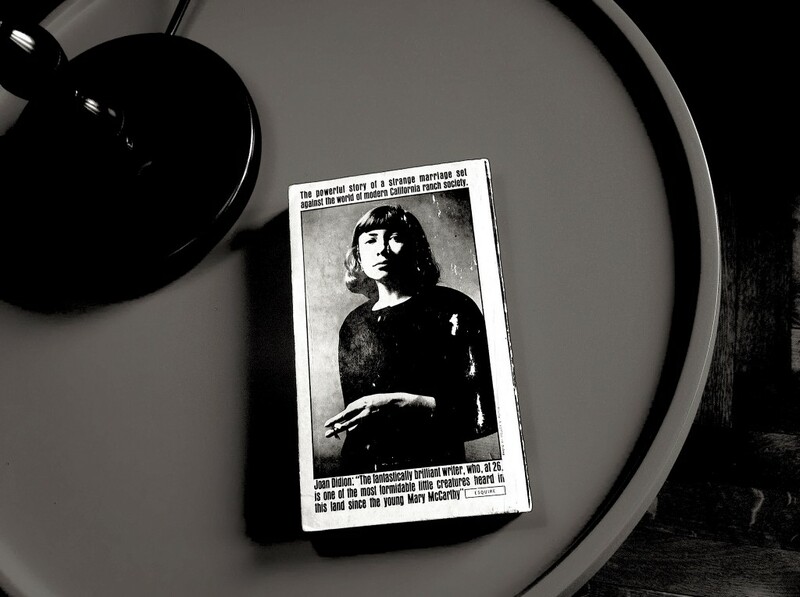 We live in a kind of renaissance of Joan Didion simulacra, an era in which Vogue runs her famous packing list as a slideshow of items for sale, and Olympia Le-Tan sells clutches with Didion’s book covers hand-stitched onto them. Young, fashionable, progressive people love her, a fact that has been well observed (and lamented by the hipsters who got there first). Beloved as she is by the progressives of the day, Didion began her career as a staunch conservative. Notice she doesn’t say “I am/was a Republican,” because that wouldn’t be honest. Instead, Didion talks about what gave shape to her political personality, which was really her entire personality. She grew up in a time “before the meaning of ‘conservative’ changed,” she writes; once it did, she became the first member of her family to register as a Democrat. Didon’s conservatism was both a cultural critique and a ticket to a seat at the table in journalism at a time when to be progressive was not to be taken very seriously. The advent of New Journalism, in which the writer used a narrative thread to tie a true story together and of which Didion would become an emblem, was still on the horizon in the early 1960s. To be a serious journalist at the time was, more often than not, to be conservative: Men like Forrest Davis, William F. Buckley at the National Review, and Vermont C. Royster at the Wall Street Journal were setting the tone. A woman had to be able to play by their rules if she wanted to join them — and so, for a little while, Didion did. The more Didion observed, especially during her travels in Central America, the more sympathy she displayed for radical causes. “Didion’s transformation as a writer did not involve a conversion to the counterculture or to the New Left,” Louis Menand wrote in the New Yorker. “What changed was her understanding of where dropouts come from, of why people turn into runaways and acidheads and members of the Symbionese Liberation Army…” In other words, it was her focus on people on the margin of societies that prompted Didion’s leftward turn. She told stories, and those stories influence her politics. Didion rarely gives away her policy positions, but a close reading of her dozens of dozens of New York Review of Books essays reward attention. If you want to know Didion’s take on the machinations of the Religious Right, read her essay “God’s Country,” specifically the part where she talks about the sectarian nature of “faith-based” organizations in the US: “’Faith-based’…is a phrase with special meaning, a code phrase, employed to suggest that certain worthy organizations have been prevented from receiving government funding solely by virtue of their religious affiliation.” In the same essay, Didion refers to “’crisis pregnancy centers’” in quotation marks. She tells the attentive reader everything she needs to know, but in semaphore and whispers rather than bold, tweetable quotes. In recent years, “conservative” has come to mean conserving the pillars of American nostalgia. We want the nuclear family preserved at all costs, manicured lawns in the middle of a drought, white picket fences (or border walls). We want to believe that idealism is the source of our national strength rather than one of its greatest polarizing forces. “Fiction is in most ways hostile to ideology,” Didion wrote in a 1972 essay on the women’s movement for the New York Times. In other words, a good story necessarily includes ambiguity, especially in relation to the past. “Make America Great Again,” as many have pointed out, is a promise for a specific audience for whom America was great in the first place: Mostly white, mostly male. “There is a sense in which the whole idea of America is that it doesn’t have anything to do with the past,” Didion told the Harvard Crimson in 2001. Didion is puzzled by the past. Her 2003 essay collection Where I Was From is a 240-page reckoning with the past, both hers and California’s. Nostalgia and sentimentality can blind a person, and this is the true manner in which Didion is a conservative: her “Cassandra dreams for American culture,” as Nathan Heller writes in Vogue, portend doom if we fail to heed them, if we fall prey to the promise of victory in progress. Her obsession with the past had everything to do with her relationship to California, too, as a place she sought to distance herself from even as she was obsessed with it, then returned to for decades with her husband. The myth of California is that it is the place where the past goes to disappear, where time exists only at the present moment and every moment is better than the last. This is the “vacuum” Didion wrote about in her book of reckoning with the reality of California, Where I Was From. Where I Was From is a long critique of the American ideal of progress, de-romanticizing the pioneers and their plight. Didion’s Gold Rush-era relatives buried their dead children as they made the trek westward, including an unnamed baby girl and a two-year-old boy, Tom, who had a fever and no hope of finding a doctor in time. They found a small trunk to bury him in. As they kept going, they carried seeds with them from the gardens they had kept at home. “The past could be jettisoned, children buried and parents left behind, but seeds got carried,” Didion wrote. What kind of “progress” leaves 2 year-olds dead in its wake but assures the survival of beans and squash? Social accountability is at the heart of many of Didion’s early essays, from the title essay of Slouching to the story of Grace Strasser-Mendana in A Book of Common Prayer. The primacy of individual accountability is one of the last threads of connection Didion shares with the conservative movement; but even here, she has never discounted the importance of social systems. “In 1964, in accord with [conservative] interests and beliefs, I voted, ardently, for Barry Goldwater,” Didion wrote. “Had Goldwater remained the same age and continued running, I would have voted for him in every election thereafter.” It was Didion who remained the same and conservatism that changed. Ironically, Goldwater is the man charged with sparking the modern conservative movement. He was soundly routed in 1964 by Lyndon B. Johnson, who won with 61% of the popular vote. L.B.J. was easily able to paint Goldwater as an extremist. (Goldwater famously said “extremism in the defense of liberty is no vice.”) He supported the same bullet points in Didion’s introduction to Political Fictions — limited government, a “reasonable” budget, the primacy of states’ rights. What exactly Didion admired in Goldwater is lost to the ages. She is certainly not going to speak about it, now that she’s all but hung up her shingle. And who can blame her? There are other things to worry about — grocery lists to write, newspapers to read. From her apartment on East 71st Street, the world must look very different now than it did in 1964.